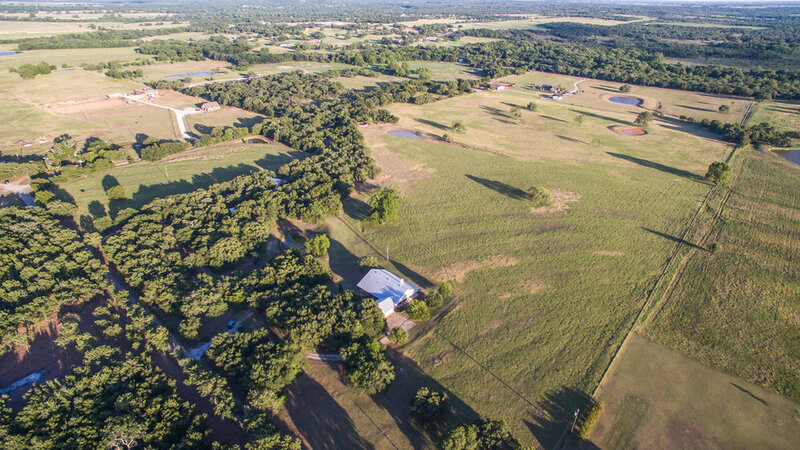 Polo Horse Ranch, 46 gorgeous acres available in Brock ISD!! 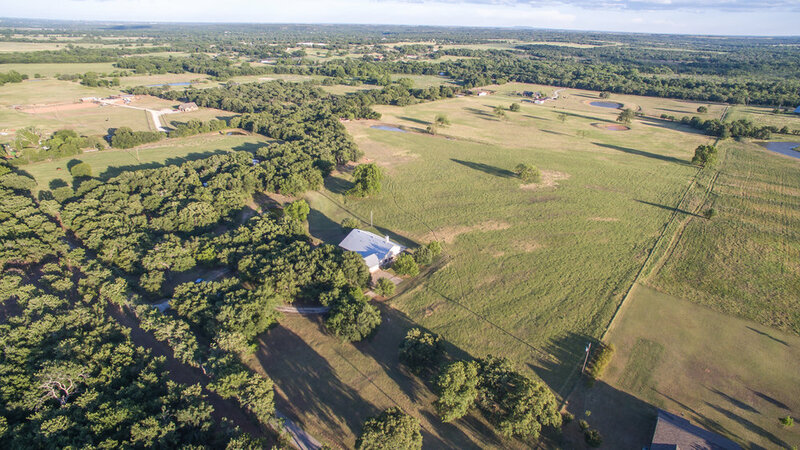 This home is perfectly situated out in the country in Lipan, just a short distance from 1189, with plentiful trees providing privacy from the road, and large open coastal fields in the back giving you gorgeous views of your horses grazing in the fields every afternoon. It is the perfect piece of property for the family that wants/needs acreage, but doesn't want the expense of a HUGE house. This is a cozy home that features covered porches on all 4 sides, allowing you to enjoy the outdoors from many vantage points through out the day! The downstairs living space is 2022sqft, with 1848sqft of covered porches, and 664sqft garage space. Upstairs has a separate entrance into a complete 500sqft mother in law suite and a private balcony. 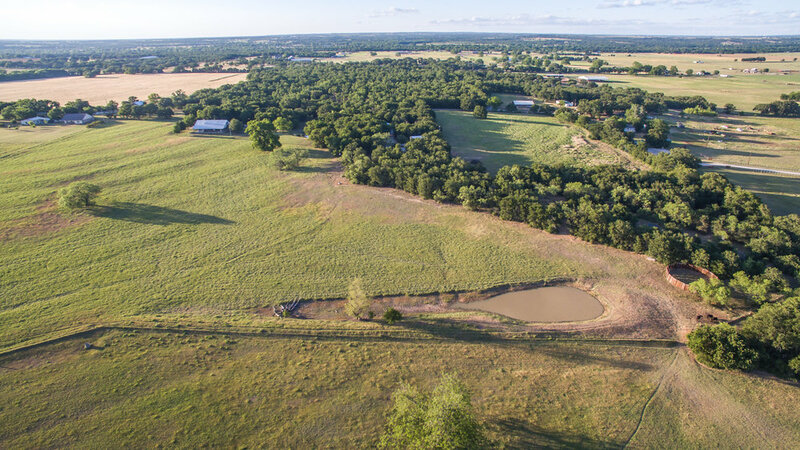 Located in the highly esteemed Brock I.S.D., this lovely farm is ideally suited for raising and training horses or for keeping, caring for and riding your own equine buddies. Past use has always been the raising, training and conditioning of world-class polo horses. Raise all of the coastal Bermuda hay you need and sell the rest. Latest cutting yielded 154 round bales from 32 acres. Typically three cuttings annually. 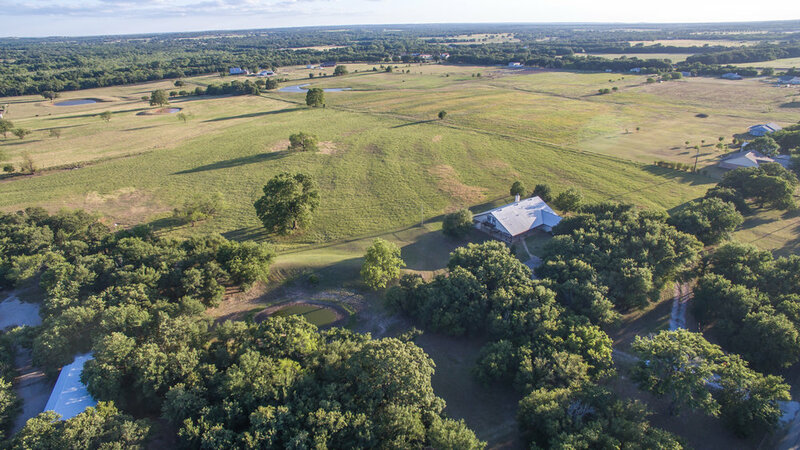 This secluded Texas hill country style one and a half story home sits off the main road on a wooded hill overlooking beautiful grassy meadows. 4 bedrooms, 3 baths, over-sized 2 car garage, a great room with lofty ceilings, impressive fireplace and ample wall space especially designed to showcase fine art and trophy mounts. Many built-in custom cabinets and tall panoramic windows grace this inviting room. The pastoral views and light from the bank of windows combine to make this comfortable room a go-to area of the home. The roomy well-appointed kitchen features an array of custom cabinets and wide counters, a kitchen island with wine storage rack, a long L-shaped breakfast bar/wet bar and a gas cook-top. Other special features of the home include a standing seam metal roof and wide covered porches with shady overhangs on all four sides. An outdoor kitchen area is designed for barbecuing the Argentine way. 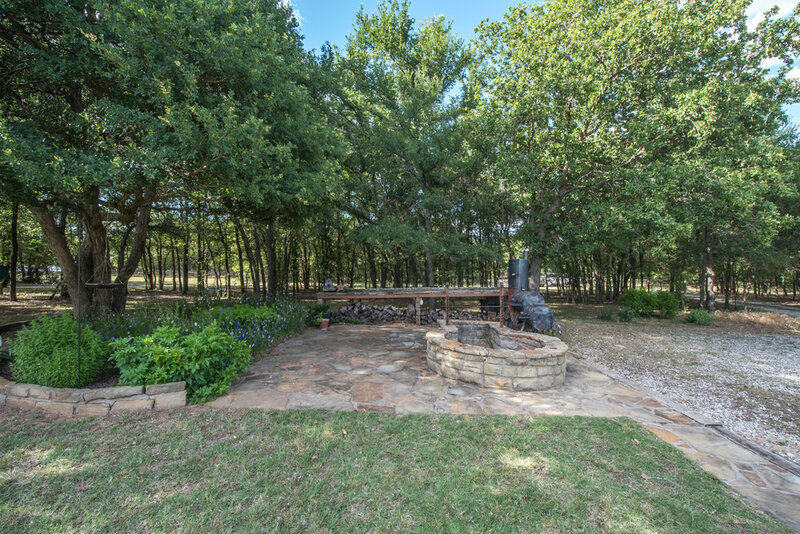 There is a massive stone fire-pit suitable for cooking huge cuts of meat or even an entire pig and a long native stone buffet area. Water is provided to the home and guest house by a private well and the co-op. The barn area has a separate gated entry off of the county road. Horse facilities are varied and include a hay barn with stalls, five pipe paddocks, a large shop and tack room. A nice studio style guest house, over by the shop. The ten acre barn area is very shady and wooded with large old hardwood trees. The soil is excellent sandy loam and the land is fenced into four pastures with stock tanks in each pasture. All of the fencing is no-climb horse wire and perimeter fences are pipe and wire. The neighborhood is first class, highly sought after and in an area of numerous beautiful highly improved horse breeding and training farms. Property could easily be subdivided as there is paved county road frontage on the East and North sides.